Launch of Golden Years Film Festival 2018 at Pictureville, Bradford with David Wilson. 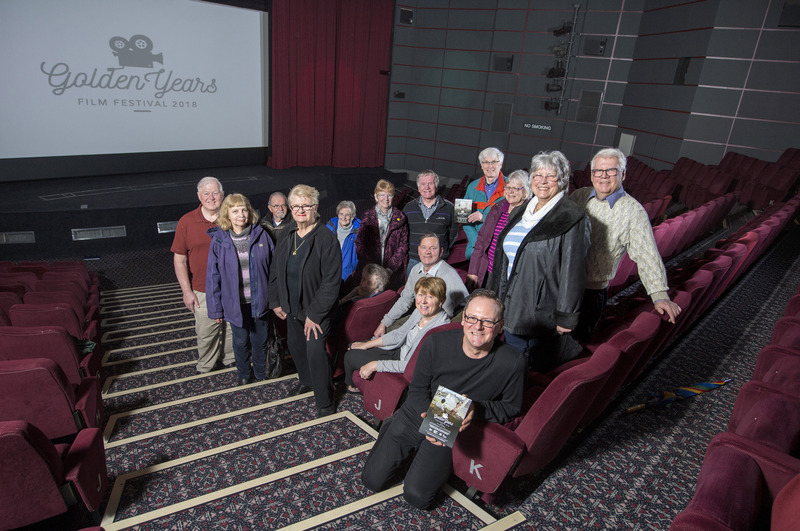 An exciting programme of film screenings, talks and events was announced today at the launch of the 2018 Golden Years Film Festival at Picturehouse Bradford. The five day festival hosted by Bradford UNESCO City of Film in partnership with Picturehouse at the National Science and Media Museum will run from Monday April 16 to Friday April 20. The festival – aimed at an older audience but open to all – has a retro theme for 2018 featuring iconic films, people and places from the sixties and seventies. The programme includes a documentary on ice skating king John Curry; feature films including a special widescreen Cinerama experience and an opportunity to delve into the Marks and Spencer archives with a look at fashion from the era. Leading film experts will be hosting talks including Professor Duncan Petrie from the University of York and experts from the Remembering 1960s British Cinema-going project at University College London. 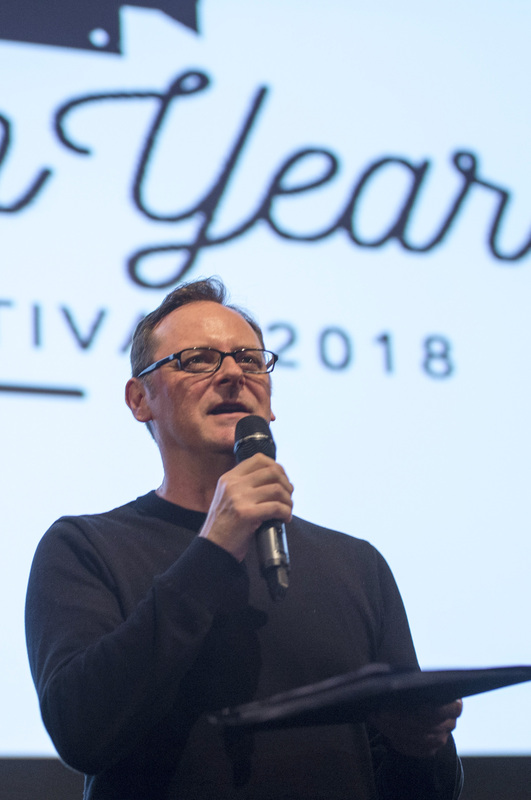 David Wilson, Director of Bradford UNESCO City of Film said: “We’re delighted to be bringing Golden Years to Bradford for a third year with a programme which has such broad appeal. We have some fabulous guests including the M&S Company Archive who are bringing for the first time some of the archive collection to Bradford. All events will take place in the Pictureville cinema at the National Science and Media Museum. transformed a dated sport into an art form and made history by becoming the first openly gay Olympian in a time when homosexuality was not even fully legal. On Tuesday at 11am, film fans will be treated to a unique 1950s widescreen experience with a 60th Anniversary screening of Cinerama: South Seas Adventures (digital projection). This dementia-friendly screening will transport the audience to lush tropical island adventures in a series of fictionalised, island-hopping voyages from Hawaii to Fiji. On Wednesday at 11.30am, the M&S Company Archive are in town with a fabulous event which is free to all. From carefree summer holidays in glamorous locations, to West End dancers in Terylene skirts, Helena Roddis will be sharing highlights from the M&S Company Archive film collection showing vintage M&S adverts. The event includes an opportunity to find out more about M&S heritage from the Archive team. Audiences will enjoy the captivating sixties film To Sir, With Love on Thursday 19 April at 11am – introduced by Professor Duncan Petrie, Head of the Department of Theatre, Film and Television at the University of York and co-author of the forthcoming book Transformation and Tradition in Sixties British Cinema. Dealing with social and racial issues of its time, To Sir, With Love follows the story of Mark Thackery, a Guyanese immigrant who takes a job as a teacher at a tough East End school. There’ll also be a post-screening discussion with Professor Petrie as well as Professor Melvyn Stokes and Dr Patrick Glen, project leaders of Remembering 1960s British Cinema-going at University College London. Another sixties classic concludes the festival on Friday 20 April, 11am: The L- Shaped Room. This iconic kitchen sink drama follows the life of a young French woman who finds herself single and pregnant in London’s Notting Hill. The film will again be introduced by Professor Duncan Petrie.